Looking to invest in security and style for that already decked out ride of yours? 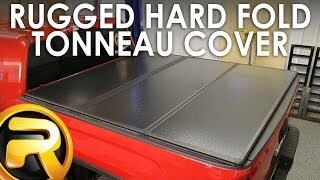 If so, RealTruck.com is pleased to announce that we are a proud carrier of the Rugged Cover Premium Hard Fold tonneau cover. These hard tri-fold pickup truck bed covers are made vehicle specific, fitting your make/model with precision. They are made out of aluminum materials and are a great investment for any truck owner. Fold once, twice and walla, just like magic you have access to your truck bed. 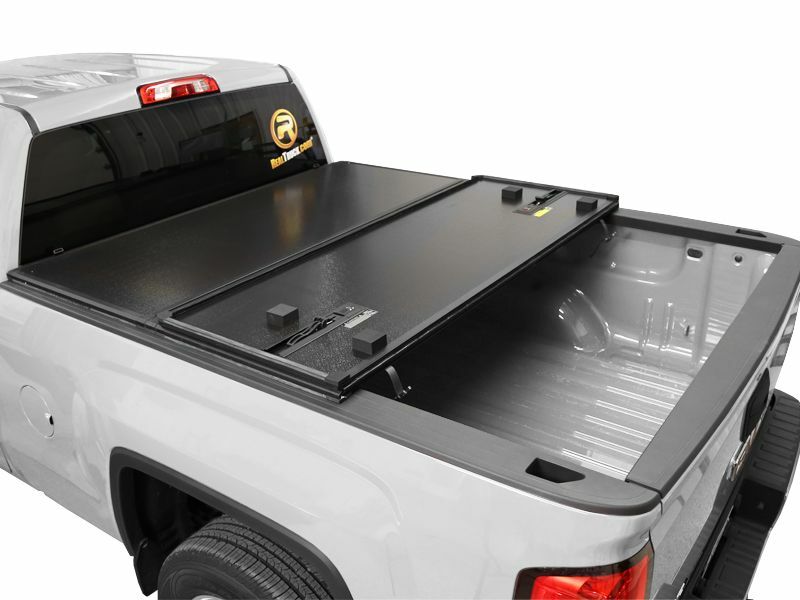 The great thing about the Rugged Premium Hard Fold tonneau cover is you won't have to take another trip with cargo exposed to the elements and thieves. That is a win-win! How many times have you started down the interstate to get to grandma's house, only to get rained out half way through the trip? Wet baggage and clothes means more work for grandma and less time spent with you! The Rugged Premium hard fold tonneau comes completely assembled with the clamps built directly into the cover. So this truck bed cover can be totally installed or removed with no tools. Built in straps allow you to fold the cover up and secure to the front of your truck bed. Or if you need full use of your truck box, you can easily remove it. The rigid aluminum panels are sealed together on the top and underside with high density foam in the center for added strength and a design that will work great for years to come. Not to mention this bed truck cover gives your pick up a more aerodynamic design, ensuring less wind resistance and improved fuel economy. Plus, this Premium hard tri-fold tonneau has two built-in LED cargo lights, which come in handy at night. So there you have it. A pickup truck tonneau cover that was made to protect, lesson grandmas work load and ultimately pay for itself. Why wait? Get your truck into a Rugged Premium Hard Fold truck bed cover today!